TAXI drivers are breathing a collective sigh of relief after the council decided to restrict the number of cabs in the town. In recent weeks drivers have told the News how they have been struggling to make ends meet due to the amount of competition for business. At a Crawley Borough Council licensing committee meeting last Wednesday, it was agreed that no more Hackney Carriage licences would be handed out. The number of taxis (those which operate from ranks) in the town has been continuously increasing since 2002, when previous restrictions were withdrawn. Although councillors agreed to a limit, the council will not be able to refuse licence requests for wheelchair-accessible vehicles if the proportion of these does not meet Government guidelines. The council agreed to review the situation after the taxi trade commissioned a survey which showed there was no unmet demand for taxis in the town. Taxi driver Christopher Bradley, 61, from Three Bridges, was pleased with the decision. Mark Bonner, 50, from Broadfield, believes the current situation could have been avoided in the first place. He said: “We said in 2002 that most towns which de-restricted taxis ended up going back to restricting them. Roy Bateman, 64, from Ifield, is equally disappointed that the change of policy has taken so long. The council was also considering making it a requirement for all taxis to be converted to be able to take wheelchairs. That proposal was rejected but the council is looking at how it can provide disability awareness training to drivers. A review will be carried out in three years to assess whether there is any unmet demand for taxis as the town’s population increases. A NEW taxi system, which will see changes to the way hackney carriages and the private hire trade operate, will come into force next month in County Durham. From September 1, Durham County Council’s new policy will bring about de-zoning across the county and the deregulation of licensed hackney carriage numbers in the Chester-le-Street and Durham City areas. This means that licensed hackney carriages will be able to pick up and drop off fares anywhere within the council’s area. Previously there were seven different zones representing the seven former district council areas which came together to form the unitary authority in April 2009. The council’s head of environment, health and consumer protection, Joanne Waller, said: “Currently if a licensed hackney carriage driver picks up a passenger in for example Barnard Castle or Peterlee and takes that person to a place in another zone within the county, the driver is prevented from picking up a new fare from a taxi rank or by being hailed in the street, when they reach that destination. “That not only means that empty vehicles are being driven needlessly all over the county, harming the environment and wasting fuel, but it also means that passengers wanting to get a taxi are not able to do so. The council has been working with the licensed taxi trade for a number of years and a widespread consultation programme was held prior to the Cabinet adopting the new policy. But the move proved unpopular with cabbies in Durham, who staged a number of go-slows through the city in protest, claiming it would lead to a “free for all” in the city centre. The taxi drivers are also opposed to a colour policy which will force them all to drive white cabs. Ms Waller said: “There have been some concerns raised by operators in Durham City that there is not enough rank space in the city and insufficient custom to go round. “In response we have provided 15 new spaces after 6pm by extending the rank on Claypath and providing an additional rank in certain hours on Freeman’s Place. Detailed leaflets outlining the new operating systems are being sent to licensed taxi trade members in Durham City and information for customers is being distributed across the county throughout a network of venues. Posters are being placed at strategic points and the new scheme will be supported by an increased police presence and enforcement of road traffic and rank regulations where necessary, particularly where non-licensed vehicles are parked on ranks during restricted hours. In addition, the experimental traffic order in Durham City is designed to alleviate potential access issues on Claypath, where the rank will be extended. Taxi drivers unhappy about the deregulation of the trade have staged a protest in St Albans for the second time in 10 days. The drivers claim there are too many drivers trying to compete for fares. Mohammed Khan from the St Albans and Harpenden Taxi Association said there had been a 100% increase in taxis since deregulation in 1999. He said his earnings had fallen by 30% in two years. The drivers refused to pick up passengers for four hours. “The minimum we have to work is 12 hours a day, six days a week [to make a living wage],” Mr Khan said. Mr Khan, who has been a taxi driver for 22 years, apologised to the general public for the “nuisance” but said that they had to highlight their dissatisfaction to the council. “St Albans is a very small and compact town and can only cater for so many cabs and I think we surpassed that a long time ago,” he explained. The taxi trade in St Albans was regulated in 1995 and the district council restricted the number of vehicle licences issued until 1999 when there were 127 hackney carriages. However, the policy was considered too restrictive, the limit was removed and there are currently 259 licensed taxis. On 7 July, drivers in St Albans again asked the licensing committee to consider introducing a regulation on the number of licences granted but failed in their bid. “I would like [the council] to take a serious look at our plight,” added Mr Khan. He revealed that in both 2007 and 2009, reports requesting regulation of licences were considered by the committee and on both occasions the decision was made not to regulate, based on a report by the Office of Fair Trading and a reply from the Department for Transport. “I don’t think that a capped system is correct,” Mr Myland said. TAXI drivers staged a demonstration yesterday evening, and have already planned another for next week, after claiming the high number of licences which have been handed out in the city is jeopardising their future. About 50 to 60 members of the St Albans Taxi Association drove in convoy around the city centre for some two hours to get their message across to St Albans District Council. Irshad Khan, chairman of the group, said the drivers face a daily struggle to pick up trade because there are simply too many cabs on the district’s roads. He said: “Some days we can be sat in the rank in St Peters Street for over an hour before we get a job, this is our livelihood which is being ruined. “We’re providing a public service here, and it feels like we are not being treated as fairly as others who provide a public service. Mr Khan said even when customers are asked they agree there are too many taxis to service the city centre rank. Between 1995 and 1999 the council restricted the number of Hackney Carriage licences it issued. At the time the limit was lifted just 127 licenced taxi’s operated in St Albans and Harpenden. As of February this year, there are 259 licenced drivers on the roads. In response to this the association met with the district council’s licensing and regulatory committee on July to request a cap to be introduced. However their calls were rejected and the council said it was following guidance from the Office of Fair Trading and Department of Transport reports on best practice, which recommends licensing authorities do not impose restrictions on the quantity of licensed Hackney Carriage vehicles. This week’s demo, which began at 4pm, caused traffic chaos in the city centre during the rush hour as the drivers followed in convoy from the city station, down Hatfield Road, into St Peters Street, then Victoria Road and back to the station. They had boycotted both the St Peters Street and St Albans City Station rank, not picking up customers for the two hours they were demonstrating. The drivers’ other frustration was with First Capital Connect and its hike in trading permits for the city station. The association met with the rail company a month ago and St Albans MP Anne Main has vowed to support their plight. The drivers plan to stage a second demo in St Peters Street next week. THE limit on the number of Hackney Carriages in Thurrock has been removed. The current limit for the number of Hackney taxis in the borough is set at 100. However, at a full meeting of the council last Wednesday, it was revealed that ten of the licenses for Hackney taxis are still available. Concerns were raised that removing the limit would result in an influx of Hackney Carriages to the area. Tunde Ojetola, ward councillor for south Chafford, said: “Yes there will be the possibility that Thurrock would have an influx of people without this licence. “There are currently ten vacant licenses available with in the current limit. The removal of the limit followed a review after three years to decide if it was in the interest of the public to keep it. A Hackney Carriage can be a London style cab and will always have a fare meter as well as carrying a white local authority licence plate. Leader of the council John Kent added: “If we have a limit on the amount we have we have to carry out a review every three years which costs the council £20,000 for the report. TAXI drivers are preparing to stage a demonstration next week to send out their message of anger to St Albans District Council. About 100 members of the St Albans Taxi Association have voted on the action, after failing to persuade the council to regulate the number of Hackney Carriage licences handed out. Irshad Khan, chairman of the group, said the drivers are now at the end of their tether and do not see any other way of getting their message across. On Monday, July 25, the drivers will set off from St Albans City Station at 4pm, and plan to drive around the city. Mr Khan said the drivers are continuously feeling their requests are falling on deaf ears, and hope council can come to some agreement on licence numbers. The association will also be demonstrating about the high prices of permits which drivers have to buy in order to trade from the train station. AN idea to track all taxis in the Vale to make sure they are not speeding was put forward by a district councillor on Monday. David Vick said trackers would catch the ‘minority’ of cabbies who speed or ply for trade in the wrong area and also private hire drivers who illegally pick customers up off the street. He said they would give ‘protection’ to the majority of reputable drivers. The council’s licensing committee agreed to look into the idea, although Councillor Janet Blake said she thought trackers would be a ‘waste of time’. The committee also agreed to continue the current limit of 50 for the number of hackney carriages allowed in Aylesbury. It also agreed to delay the implementation of new vehicle age limits. At the moment no car can be more than 10 years old. This was due to be reduced to eight years next year but has been delayed due to the credit crunch. TAXI drivers in St Albans last night failed in their bid to persuade the district council to impose a limit on the number of licences which are granted. Hackney Carriage drivers across the district, who are members of the St Albans Taxi Association, asked a licensing committee to consider introducing a regulation. As the committee had recommended, however, the limit on licences handed out was not considered. The drivers say they have been left disappointed by the decision and will continue to lobby the council on this matter. Mudassar Yasin, secretary of the taxi association, added: “Some of the councillors on the committee did raise the issue that there is a problem. The taxi drivers had requested the limit to be introduced as they thought the high number of Hackney Carriage drivers on the road was affecting their income. Similarly, Watford taxi drivers had also recently requested their council to look into introducing a cap. They celebrated an initial victory last month when the council agreed to carry out a survey to assess how many taxis the town needs. 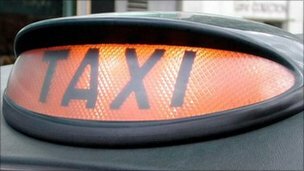 TAXI drivers in St Albans claim the number of Hackney Carriage licences which are handed out should be regulated to help boost their income. The St Albans and Harpenden Taxi Association has called on St Albans District Council to put a cap on the number of licences granted. The group say de-regulation has had an impact on their income, and has overcrowded the city centre ranks. Between 1995 and 1999 the council restricted the number of Hackney Carriage licenses it issued. At the time the limit was lifted just 127 licenced taxi’s operated in St Albans and Harpenden. As of February this year, there are 259 licensed drivers on the roads. The council’s licensing and regulatory committee is to consider the calls made by the taxi association. But it has recommended the committee maintains it policy to not impose a limit. The licensing team has said it will launch a consultation over additional ranks in St Albans and Harpenden to address the issue of overcrowding. It is proposed ranks could be provided outside Havana nightclub, in Victoria Street, St Albans, for approximately six vehicles. It would be operational between 9pm and 3am, Thursday to Friday and the nightclub licensee has agreed to use two of the door supervisors as taxi marshals. Other ranks are proposed in the two loading bays opposite the Cross Keys public house and outside HSBC bank, to be operated between 6.30pm to 7.30am Monday to Sunday. Mr Yasin said the problem of private hire taxi’s illegally touting for trade in other areas of the town, including outside Havana night club, has always been an issue. He said it will help if the additional ranks are introduced, to give more trade to the Hackney Carriage drivers. Taxi drivers have won an initial victory in their fight to re-introduce strict limits on vehicle numbers. Watford Borough Council, which scrapped a limit on licence numbers back in 2006, agreed last night to re-examine its policy. When the limit was abandoned (to improve competition) just 81 Hackney Carriages operated in the town. A total of 287 were on the road as of March. The Hackney Carriage Drivers Association has claimed that, as a result, its members are struggling to make a living form the trade and has requested a reintroduction of the limit. Although the move has long been opposed by the council, it has now agreed to commission an unmet demand survey to better assess how man taxis the town needs. Association chairman Shafiq Ahmed, who spoke at a council meeting last night, said: “The survey will show what we have been saying for so long – that there are too many taxis in Watford and that the problems with over-ranking and traffic would be solved by restricting numbers. The survey will be carried out in the coming months.